Cientos de artículos se han publicado sobre el discurso de Obama sobre el Estado de la Nación. 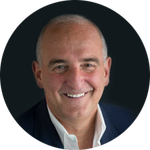 Escogemos esta columna de Roger Cohen que resume la problemática de la retórica de Obama. President Obama showcased a Syrian immigrant, Refaai Hamo, during his State of the Union address as evidence of “our diversity and our openness,” qualities that have long defined and sustained the United States. But given the degree of openness America has offered Syrian refugees over close to five years of war in which a quarter of a million people have been killed, this political choreography qualified as serious chutzpah. Hamo, who lost his wife and daughter in the war, is one of about 2,500 refugees Washington has admitted since 2012. That’s roughly 0.06 percent of the 4.4 million Syrians who have fled their country, most of them marooned in neighboring Middle Eastern states, many staggering into Europe. In fact Hamo, in his relative isolation on this side of the Atlantic, might better have been offered as a symbol of the closing of the American mind — its post 9/11 susceptibility to fear of terrorism, its anxiety about downward social drift, its uncertainty about the future, its postwar fatigue, its plague-on-all-their-houses dismissal of the war-without-victory Middle East. Obama tried to inject hope. That’s where the world began with Obama. Yes, we could. In truth, after seven years in the White House, he seemed weary himself, straining for conviction. As the world knows by now, Obama’s temperament is more inclined toward explanation than exhortation. The president is primed to out-reason the Islamic State — they want this, so we’ll do that — as if reason even flirts with the outer galaxies of the Raqqa universe. When feeling does take over, as with Obama’s passionate appeal this month for America to rein in its gun madness, the effect is particularly powerful because rare. Republicans have sought to block Obama at every turn, not least on immigration, balking even at his plan to admit 10,000 Syrian refugees this year. The politics of anti-Muslim bigotry will not be far from the surface throughout this American election year. For everyone — from Donald Trump to rightist parties in Germany and Sweden — itching to close borders, the sexual assaults on women in Cologne on New Year’s Eve have become the great I-told-you-so moment. Germany last year admitted 1.1 million refugees and asylum seekers, of whom close to 40 percent are Syrian. That’s a huge number. Sweden’s admission last year of up to 190,000 refugees is also substantial, relative to its population. In small towns, when hundreds of newcomers abruptly arrive, social tensions are inevitable. Far-right forces — Germany’s Pegida movement or the Sweden Democrats — believe they can benefit. The refugee flow is unlikely to stop. Saudi Arabia just took a hatchet to already forlorn international peacemaking efforts through a mass execution that infuriated Iran. No peace is possible in Syria until the Saudis and Iranians both want it. Still, I’d bet on Germany and Sweden, societies that have absorbed substantial numbers of refugees in the past, to prove resilient, and the aging European countries most open to immigration to be the more dynamic over time. What happened in Cologne was vile. Chancellor Angela Merkel has rightly spoken of “disgusting, criminal acts,” and responded by toughening laws. She should go further. As a woman who reached the pinnacle, addressing refugees who have fled Muslim countries where women are often demeaned, she is uniquely placed to address the direct relationship between successful societies and female dignity, freedom and independence. Meanwhile, let’s keep some perspective. Even the most aggressive estimate of the number of asylum seekers involved in the Cologne incidents still leaves more than 1,099,500 newly admitted refugees in Germany who had nothing to do with what happened. Merkel has done the right thing. Where would Europe be today with 1.1 million desperate people trudging from closed border to closed border? The Western responsibility for the Syrian debacle is immense. Her decision, alone among leaders, implicitly acknowledges this fact. Germany, over the past quarter-century, has absorbed 16 million former East Germans and ushered them from the paranoid, subjugated mind-set of the Soviet imperium. Its large Turkish community is unevenly integrated, but ever better with the years. Germany will handle the current influx. Immigration is a challenge but also a measure of the confidence of a society, its preparedness for self-renewal. That confidence is low in America right now. “The dignity of a person is untouchable” — so begins Germany’s postwar Constitution, with words drawn from bitter experience. Merkel has shown the conviction that this idea can eventually be absorbed by everyone now in Germany. She will be vindicated. Call it the Capone Principle: Costs of immigration are outweighed by benefits.